Pondmaster Coarse Polyester Media Pads can be used with the following Pondmaster filters: 1000, 1250, 1350, 1500, 1700, and 2000. 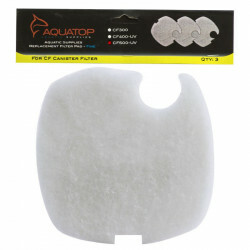 Coarse Poly Filter Pads are reusable and washable. May be used as top layer-media to trap larger debris while providing surface area for biological filtration. I have used this product in my pond all year long for several years. Even during our harsh Iowa winters. (I use a pond heater) My fish are happy & healthy. I've even acquired a bull frog or two!! 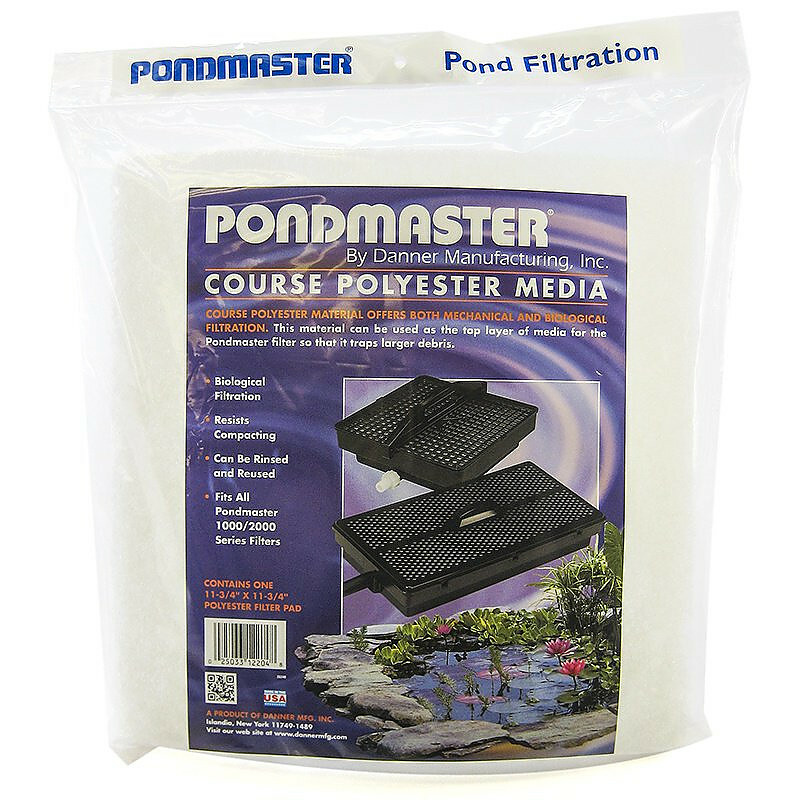 The Pondmaster polyester media makes keeping the Koi pond clear a breeze. Would recommend!!! 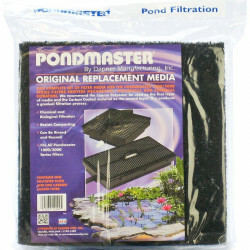 Pondmaster works great in my pond and pet mountain always has the best service and prices! Used all summer works great. These filters do a pretty good job of cleaning small debris from water but they are only effective for a month or so before they dissolve. 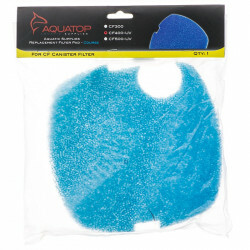 I have had this pond filtration medium for several years in my filtration system. This is long lasting, and does a great job when combined with the carbon filtration medium. I strongly recommend the Pondmaster filters. It seems this site always has the best prices for the items I am looking for.